Babblings of a Mommy: Beauty Tip Of The Day: Perfecting Your Holiday Make-up With Vaseline and Q-tips! 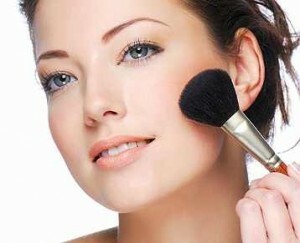 Beauty Tip Of The Day: Perfecting Your Holiday Make-up With Vaseline and Q-tips! 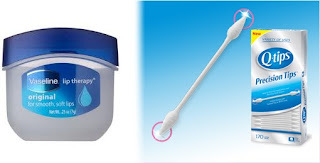 Vaseline and Q-tips have always been a staple in my house. I use them for everything--from soothing rough skin, or protecting cuts, to ear grooming and arts and craft projects around the house. But did you know they're also an awesome beauty tool too? I got to try out a few of their new products including their Vaseline Lip therapy, which comes in an adorable pocket sized tub, easy for traveling and or to keep handy in your make-up bag. This tiny lip balm is super moisturizing and feels soft, not greasy. It's perfect for the entire family! I also tested out Q-tips New Precision Tip, which works AMAZING for beauty applications. The pointed cotton tips makes it perfect for tasks requiring a little more precision. I'm definitely swapping out my regular Q-tips for these! · Mix a dab of Vaseline® Petroleum Jelly with loose eye shadow to create an eye shadow that moisturizes. · When you’re plucking your eyebrows, rub Vaseline® Petroleum Jelly on the area you plucked to soothe the skin. · Mix a dab of Vaseline® Petroleum Jelly with loose eye shadow to create a creamy blush that moisturizes. My Top Ten Uses For Q-Tip Precision Tips. 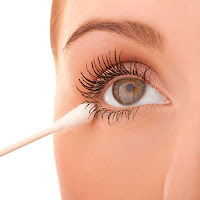 · To fix makeup mistakes, just dip a dot of makeup remover on a Q-tips® cotton swab or Q-tips® Precision Tip™ – to erase it! Perfect for fixing a smudge without having to re-do your whole look. · To achieve a quick smokey eye, draw a thick line close to your lash line using your eyeliner and smudge upwards with a Q-tips® cotton swab or Q-tips® Precision Tip™ to create a “smokey” effect. 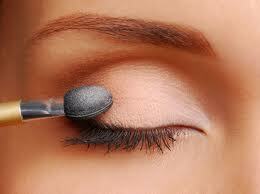 To dramatize eyes and keep mascara lasting all night long, apply extra coats of mascara. First apply one coat of mascara, then dip a Q-tips® cotton swab or Q-tips® Precision Tip™ in translucent powder and sweep over lashes. Finally, cover with a second coat of mascara. Use Q-tips® cotton swabs to apply concealer from a container without a wand. Control unruly brows by applying a small amount of Vaseline® Petroleum Jelly using Q-tips® cotton swabs or Q-tips® Precision Tips™. Smooth eye shadow creases on the lids with Q-tips® cotton swabs or Q-tips® Precision Tips™. Use Q-tips® cotton swabs to get every last bit of color from a lipstick. To help quickly heal blemishes, apply a small dollop of an acne spot treatment with salicylic acid to the end of a Q-tips® cotton swab or Q-tips® Precision Tip™. They will help you treat blemishes without adding additional oils from your fingers. Help remove puffiness under the eyes with Q-tips® cotton swabs or Q-tips® Precision Tips™. Place in the freezer a small bag of Q-tips® cotton swabs that have been dampened with water. Once chilled, roll under the eyes to alleviate any puffiness and soothe swollen skin. Do you use Vaseline or Q-tips in your daily beauty routine? Disclosure: I was provided with Vaseline® Petroleum Jelly, Vaseline® Lip Therapy Original®, Q-tips® Precision Tips™, a $25 gift card and information about the products by RocketXL. All opinions are 100% my own.